We’ve all been there. The next paycheck is weeks away, but all your money has vanished! Your current account has dried up, but the bills keep piling up. Utilities charges, rent payments, and credit card minimums are all due. But sometimes, the money just gets on top of us, and it’s tricky to make the accounts add up. If you find yourself in this situation, you need a quick way to unlock cash. The important thing to remember is not to panic. 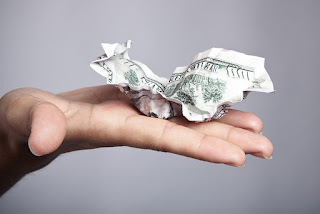 There are plenty of ways to free up your cash flow without borrowing more money. Getting into further debt is rarely the answer, and it will only make things worse. We’ve been there once or twice ourselves, and we know the way out. Here are just some of the tricks that have worked for us in the past. Most people have no idea that you can negotiate better deals and schemes with your lenders. We’ve picked up the phone, and changed our payment plans more times than we care to remember. Sometimes, it’s the only way to manage your debt and payments. If you’ve got a big credit card bill coming up, call the company, and ask to split the payment over two months. In most cases, they’re happy to make the arrangements. Remember, they want that money back, so it’s in their interests too! If you’ve found yourself in this position more than once, there could be a bigger problem. We all have expensive months where the outgoings outweigh the income! But, if it’s happening on a monthly basis, you need to make a change. One of the your options is increasing that income. Simply asking for a raise will often unlock the extra bit of cash you need. It might just be enough to give you some breathing room. Did you know that most people who ask for a raise do actually get one? The internet is bursting with excellent money-making resources. We’ll look at those in more detail later on. But first, start by selling old items on eBay or Etsy. One man’s junk is another man’s treasure! Start purging your attic and basement for things you no longer use. We have quickly unlocked hundreds by selling things on eBay. It’s quick, accessible, and you’ll declutter the house! We’ve all got bits of jewellery and gold lying around the house. That’s a great asset that you can quickly liquidate. Using pawnbrokers like MGM National Harbor, you can instantly sell your gold and jewellery. It’s a great way to unlock cash quickly. In addition to selling things online, there are plenty of other ways to make money on the internet. Try browsing some freelance sites like Odesk and Elance. You might just find a way to offer your skills to new clients for a small fee. You can also take questionnaires and input data for cash. Keep an eye out for obvious scams, and it is possible to make money online. Remember to stay calm, and think rationally about where to find a little extra money. Have you got any other great ideas for our readers?